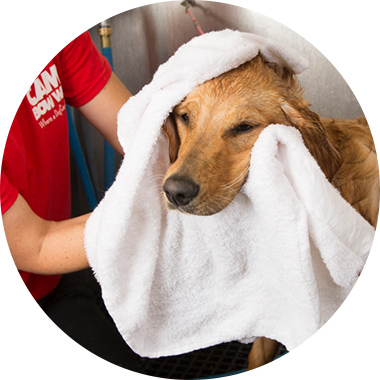 Contact us at(972) 393-2267 to learn more about our dog grooming services. Dog Weight: Up to 20 lbs. All baths include blow dry. Dog Weight: 21 - 50 lbs. All baths include blow dry. Dog Weight: 51 - 90 lbs. All baths include blow dry. Dog Weight: Over 90 lbs. All baths include blow dry.